There are many restaurants in Vivocity, but I always find it hard to decide on what to eat. I’ve announced on twitter that I wanted to try all the Vivo City restaurants, so as to do a guide on where to eat in Vivocity. 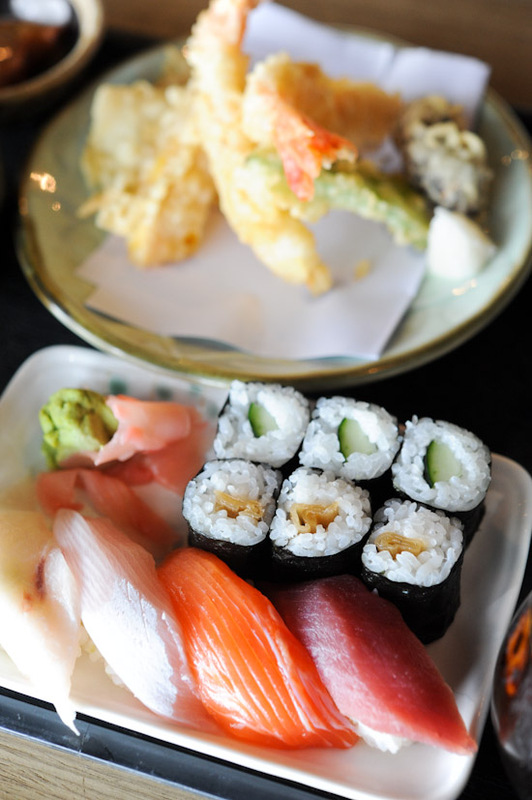 My friend was craving for sushi and sashimi that day, so we settled on a Japanese Restaurant for lunch. Shin Kushiya Japanese Charcoal Grill has been around since 2006, and they currently have four outlets in Singapore: Serangoon Gardens, Suntec City, Far East Square and Vivocity. The Japanese Restaurant specialises in charcoal-grilled skewers, with choices of chicken, pork, beef, lamb, seafood, and vegetable. 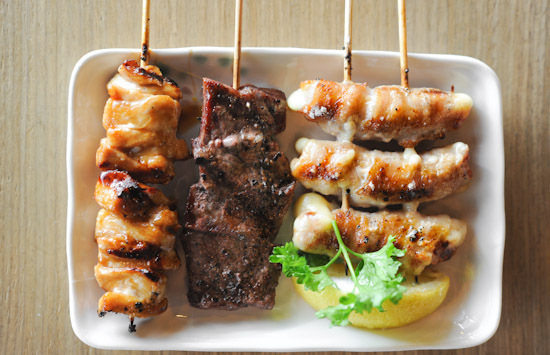 Prices range from $2 for a stick of Yakitori, to $3.8 for prime beef, and $9.8 for lamb chop. 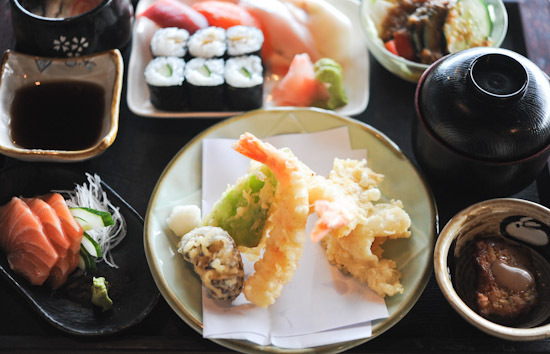 Besides charcoal-grilled skewers, Shin Kushiya also has the typical Sushi, Sashimi, Agemono, and Udon on their menu. The executive set lunch ($29.80) comprises salmon sashimi, chawanmushi, Japanese salad, assorted tempura, sushi selection, appetiser, soup and dessert of the day. We shared three skewers: Yakitori ($1.9), Chizu Maki ($2.8) and Gyu Karubi ($3.8). My favourite was definitely the Chizu Maki – Mozzarella cheese wrapped with thinly-sliced pork. We also like the succulent and tender prime beef stick. The Yakitori, on the other hand, was fairly decent, nothing much to shout about. Most of the items on Shin Kushiya’s menu are reasonably priced, and their Japanese food is competent. I can definitely see myself coming back if I’m having dinner in Vivocity. and currently got promo of 25% off when u settle by Citibank credit card..or was it UOB i cant remember which one it was…but dun order the Tori Karrage…not good..